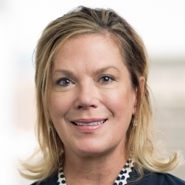 Karen Hansen, a Principal in Beveridge & Diamond’s Austin, TX office, will speak during the National Association of Clean Water Agencies’ Hot Topics in Clean Water Law Web Seminar on March 16. Ms. Hansen’s session, “Numeric Nutrient Criteria & EPA Necessity Determinations: Mississippi River Basin Litigation Update,” will provide an update on the remanded case in federal district court involving a petition requesting that EPA develop federal numeric nutrient criteria for the Mississippi River Basin and northern Gulf of Mexico. Ms. Hansen will address how this litigation could affect future attempts to force development of federal numeric criteria. NACWA's Hot Topics in Clean Water Law Web Seminar Series is designed to provide clean water utilities with the latest insights and analysis on key clean water legal issues. The webinars are offered free of charge to NACWA members and offer a great opportunity to keep up with the most important developments in clean water law.